Navigating the labyrinth of the code of ordinances of a large, politically diverse municipality can be challenging. Just ask the owners of apartment complexes in Dallas, Texas. The managers and owners of multi-family real estate in the ninth largest city in the United States face even greater challenges in the form of recent recommendations from the City Council’s Housing Committee. The Housing Committee conducted hearings among constituents regarding the standards of apartments in the Dallas and later made recommendations to the city’s professional staff on a wide range of issues. In spite of the staff’s opposition, these recommendations were sent to the entire Council for debate. Some of these recommendations, which were opposed by The Apartment Association of Greater Dallas the trade association for apartment owners in the city, would lead to dramatic increases in the cost of maintenance of apartment complexes. Ironically, these expenses would most likely be passed on to apartment renters, hurting many of the people they were designed to help. Kimberly Sims is a member in the Dallas-based law firm Palter Stokley Sims PLLC, and she represents landlords and managers in landlord/tenant disputes. Recently, she offered insights on the city’s proposed Code of Ordinances for Minimum Housing Standards and the implications in dealing with this code. “These are the standards by which multi-family complex owners must comply in the managing and maintenance of their properties,” she said. What does Sims think about the recent recommendations presented by the Housing committee of the council? “There will always be outliers in any industry – on the one side the great apartment owners who treat their tenants in the same way they treat their family members — and then – on the other — those owners who won’t follow any standards even if told by ordinance to do so. The latter causes these specific requirements to be put in place even though they are the ones who need to be regulated but likely also the ones who won’t follow them. “Several of the proposed provisions stand out as burdensome and impractical,” Sims said. “For example, the requirement that HVAC units in every apartment cool to a minimum of 80 degrees. This may seem to be reasonable. However, these apartments are in Texas and we all know that it’s hard to get AC down to 80 when it’s 108 outside. “Most air-conditioning systems – even in single-family dwellings – cannot cool more than 20 degrees from the outside temperature. So why do we expect landlords to be able to make that happen?” she asked. “If this is included in the ordinance, and the cooling requirement is not met, what happens? If an apartment owner has 180 units and the inspector (inspections are provided for in the ordinance) finds the cooling requirement is not being met on a hot summer day, does the owner have to immediately replace all 180 units? This is not practical. “The standards in these proposals will also lead to excessive costs,” she said. “This means that owners are either not going to comply because they can’t comply for the entire complex at one time, or they risk fines being assessed against them. There is some availability for apartment owners to provide input as to the proposed ordinances. Sims explains. “There was a request for the city for input from management companies and owners of apartment complexes and that has been supplied by these groups,” she said. “Hopefully, that will result in modifications to these ordinances that are more reasonable. “There is also an effort on the part of management companies and owners to clarify the process of inspections. For example, how often will these inspections occur? Will the city inspect owners who have had more violations in the past more frequently? “An apartment owner is less likely to be inspected if his complex has less tenant complaints,” she noted. “As a practical matter, it is important for the landlord to be one of those who is complying, to the best of its ability. For example, if you can’t replace every air-conditioner and every water heater in your complex, you can set a schedule for replacing the faulty ones. 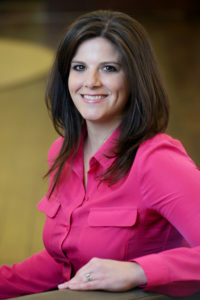 If you have legal questions about landlord/tenant matters, contact Kimberly Sims. The phone number is 214.888.3110.